After Tommy “Bubba Jones” and his sister, Jenny “Hug-a-Bug,” inherit legendary time travel skills from their Papa Lewis, they quickly earn a reputation for solving National Park mysteries by using their magical skills. 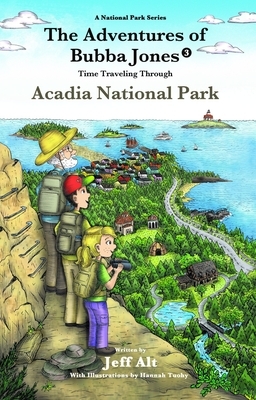 Now, they are in Acadia National Park in a race against time to solve another mystery. They time travel back hundreds and thousands of years and experience the formation of the mountains. They meet the park founders, Wabanaki Native Americans, witness the construction of the park, and learn about park secrets. They explore the park on land and sea and experience all sorts of wild creatures. Discover Acadia National Park with Bubba Jones and family in a whole new way.